Huzzard knows Zebra. We especially know Zebra printers and supplies. With Factory Trained technicians certified as Zebra Printer Repair Specialists, Huzzard is sure to get your Zebra printer up and running quickly. Whether you need on-site service, depot repair, or a genuine Zebra part, reach out to Huzzard with confidence and let their experienced technicians take at least one item off your “to do” list. Contact us today for prompt service on your Zebra printer. We arrive at your site with a smile on our face and repair your Zebra printer. Costs include: parts, travel and labor. You pay once per year for extended warranty coverage. All parts included, except for Printhead (unless you built into your coverage). 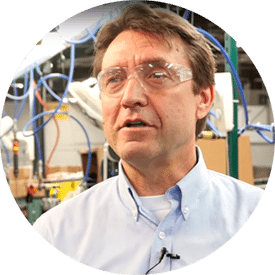 A Huzzard Zebra Certified Repair Specialist arrives at your facility prepared with the knowledge and tools to repair your Zebra printer. We offer same day service available in Wisconsin. You box up your printer and return to Huzzard printer repair facility. We repair your Zebra printer and return it within one week. Spare program available. Huzzard offers a wide variety printheads for all makes and models of Zebra printers inclluding 203 DPI, 300 DPI and 600 DPI resolutions. All printheads are factory sealed and Genuine Zebra parts. In-stock and ready to ship. Contact us today for same day shipment. Each Huzzard repair specialist has attended advanced repair training classes training at Zebra’s home office in Lincolnshire, IL. All Huzzard printer specialists are certified by Zebra as Zebra Certified Printer Repair Specialists. Our Zebra Printer Repair Specialists are prepared to provide same day service to major cities and metro areas in Wisconsin including: Appleton, Beloit, De Pere, Eau Claire, Fond Du Lac, Green Bay, Janesville, La Crosse, Madison, Milwaukee, Oshkosh, Racine, Sheboygan, Steven Point, Wausau, Waukesha, West Bend, and Wisconsin Rapids. Only 81 companies in the U.S. have the distinction of Zebra Certified Printer Repair Specialist, and 3 are in Wisconsin. Only Huzzard is headquartered in Northeast Wisconsin. When other printer repair companies are wondering how to fix your printer, Huzzard is utilizing their Zebra classroom training and certification. Huzzard is strategically located in Appleton, WI. We are located within two hours of 90% of the major metro areas in Wisconsin. That’s good news when you have a mission critical Zebra printer problem. Huzzard will create a custom Zebra printer service and parts plan for your organization – if need be, some printers on annual contract, some printers on time and materials, and some printers on a depot repair plan. Huzzard will make sure, every printer on contract, receives two preventive maintenance services per year. Note: Huzzard receives the highest discount possible from Zebra on OEM parts and passes the savings on to your organization. We know you have plenty of problems to solve throughout the day. Having a Zebra printer disrupting production or shipping, shouldn’t be one of them. Huzzard has a sense of urgency to get your Zebra up and running within hours, not days. We want you to feel like we are a trusted partner and valuable extension of your IT department. We want to help you exceed the expectations your internal and external customers. In addition to over 30 years of experience with the Zebra printer brand, Huzzard knows labels, tags, ribbons and label design software. There will be no finger pointing when the label isn’t printing right. We will use our knowledge of all components of the printing system to determine the root cause. Bottom-line, we will get your Zebra printing again as expeditiously and inexpensively as possible.